Address: Barge 19, Chevron Business Park, Barnstaple, EX31 4AY. 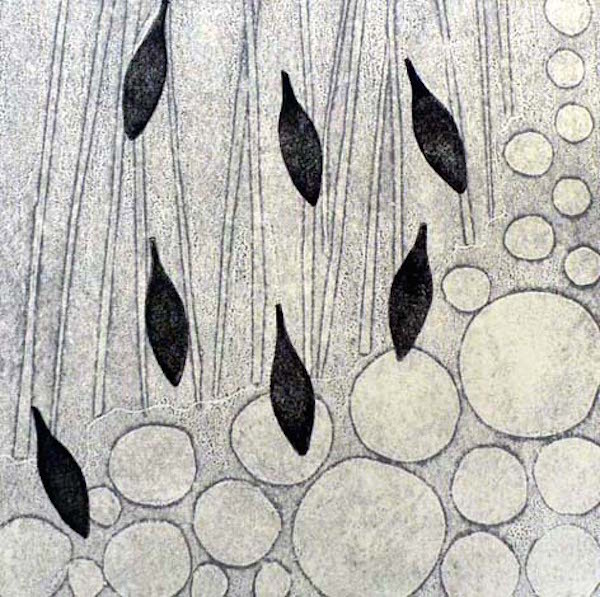 I am a printmaker & painter, mainly working in the area of monoprint. I am interested in conveying the ephemeral quality of the estuary on which my work is based & where I live. I am interested in the solitude of viewing the landscape, a pared down simplicity, a memory of that observation. I hope to evoke the mediative sensation of looking. Watching the changing tides & reflections in the water, or the colour & form blurring & fading in rain or fog.